Join us for this Tuesday Movie Matinee: Going in Style (2017) Starring Morgan Freeman, Michael Caine and Alan Arkin. 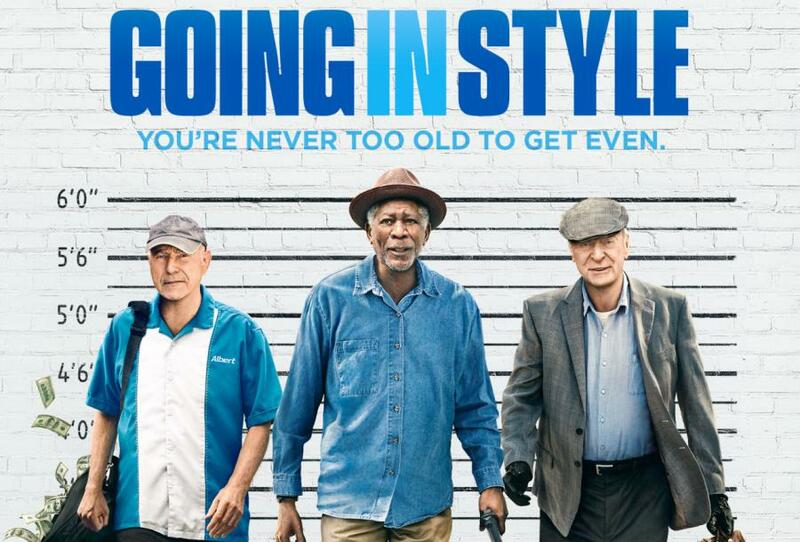 Lifelong buddies Willie (Morgan Freeman), Joe (Michael Caine) and Albert (Alan Arkin) decide to buck retirement and step off the straight-and-narrow when their pension funds become a corporate casualty. Desperate to pay the bills and come through for their loved ones, the three men risk it all by embarking on a daring adventure to knock off the very bank that absconded with their money. Comedy. Rated PG-13. 96 minutes.